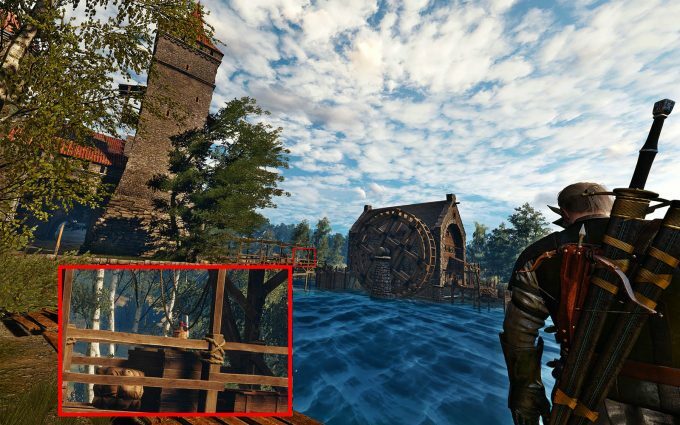 The Witcher 3 received a small update the other day, and it left many puzzled as to what was added. Well, that small patch was something very big, and that was the activation of NVIDIA’s super screenshot tool, Ansel. We took the tool for a quick spin and delved into some 3D VR and super-high resolution screenshots. When NVIDIA launched its Pascal cards earlier this year, a number of cool technologies were announced at the same time. One of those technologies came in the form of Ansel, a screenshot tool on steroids. As of the latest patch for The Witcher 3, CD Projekt Red enabled support for Ansel, and some of the screenshots generated are truly exquisite. Only a couple of weeks back did Mirror’s Edge Catalyst get support for Ansel, and Rob managed to take some rather amusing screenshots after a bit of experimenting. While the graphics are certainly jaw dropping in places, they don’t quite have the same allure as some of Witcher‘s iconic sunsets. 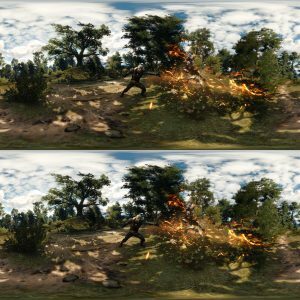 Ansel doesn’t need a Pascal-based GPU to run, as it’s supported by a wide variety of GPUs; a full list is available on NVIDIA’s website. 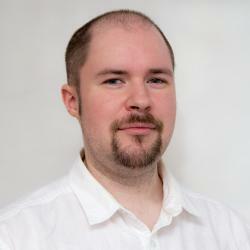 What it does need though, is to be deployed to games individually, and that’s up to the developer’s discretion. As such, there are only a handful of titles that support Ansel at this time, with more being added as time goes by. If you do come across a game that supports the tool, you’re in for a treat. When in-game, simply press ALT+F2; the game pauses with the Ansel overlay, and you can start composing your shots. While there is a fair few options to cover, we’ll cover the important ones. Out of all the features that anyone could ask for in a screenshot tool, it would be a free camera, the ability to move beyond what’s available to the player’s eye. While the tool could be used for cheating in some regard – as it allows you to view things beyond normal reach – it does let you really compose a shot with a better focus on what’s important. To enhance that focus is a Field of View slider that lets you go really narrow for portraits, or really wide for landscapes. Camera rotation lets you put a spin on things if you fancy being edgy, and on top of all that are a number of filters, too, for the artistically inclined. We’ll quickly note the important controls too, if you are curious, as it’s not all that well explained. Holding down the left mouse button lets you aim the camera, WASD physically moves the camera back, forward and strafe, and U & J lets you move the camera up and down. The last two there are not as important, since you can achieve a similar effect with aiming up and using W and D.
Once you have the shot lined up and styled appropriately, there are a number of ways to take it, and that’s where the different scalers come in. Is 1080p too restrictive? Want more pixels than the game provides? Enabling the super scaler lets you take screen shots up to 32x larger than the displayed image, letting you really zoom in on those signs in the background… a mile away. The way it works is by taking very narrow field of view shots, and then stitching them together to form one giant single picture – similar to how panoramic shots work in cameras. We will warn you though, you will need a fair amount of disk space to take the shot, as it can require over 30GB to save the individual shots on the highest setting. Once those shots are taken, Ansel will then generate a composite image that’s a few hundred megabytes in size. So you need the initial disk space to take the shot, but not to save the final image. A second warning is time. At the highest setting be prepared to sit around for 10-30 minutes or more as Ansel takes the hundreds or thousands of screenshots necessary to make the final image. It also helps to have a fast SSD to store the raw captures, and a good CPU to render the final image. If looking at a scene from a fixed angle isn’t enough, and you really want to immerse a viewer in the scene, then spherical shots are for you. After positioning the camera, you can then make a composite image of your entire surroundings to share with friends – perfect for when you are standing on the precipice. These images can then be shared with others on mobile devices if you wish, so that your friends can explore the surroundings. 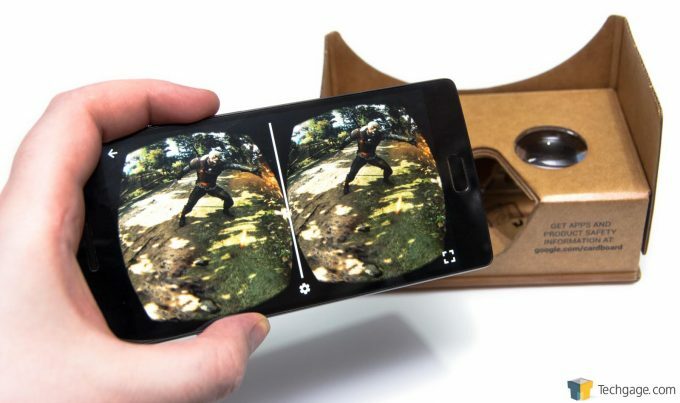 However, if they have something like Google Cardboard… be prepared for some jaw dropping. Just like the spherical shots, 3D sphere takes pictures from all angles and stitches them together, but with the addition of a second angle for a 3D stereoscopic effect. To view these screenshots requires a bit of extra work, as you need to install an extra app on Android, as part of Google Cardboard, or through Steam VR. 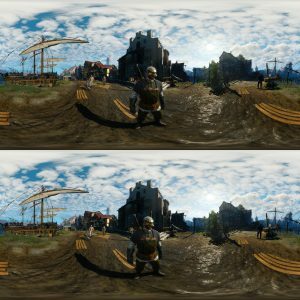 Full details of the process can be found on NVIDIA’s website for both Android and Steam VR, but the short version is you need to install the NVIDIA VR tool and view the 3D Sphere images that way. There are some limitations though, and not all of them obvious. When taking the screenshot, you need to be mindful of the device you are going to view the image on. Ansel defaults the resolution to 4Kx4K, as this will have the broadest compatibility. If you take a screenshot of 8Kx8K, then you will need a rather powerful phone/tablet to view the image. Going over 4K with our test phone, the OnePlus 2, only 4K images could be shown. Trying to view anything over that would result in the error of ‘Unsupported image size, must have same width and height’ – not very helpful, as all Ansel 3D Sphere shots are square. So if you see that error or something to that effect, you will have to scale the image down. Once you have the NVIDIA VR and Google Cardboard installed and the right resolution images, you can truly immerse your friends in the action, or even relive iconic scenes instead. You will need to compose the camera quite close to the action if you really want something to stand out, as the further away something gets, the flatter the image. Be aware as well, you can’t move behind objects, unfortunately. If you have a 3D monitor, you can save screenshots in 3D stereo too, complete with the same resolution scaling as above. The images are saved as a custom NVIDIA format though, so you will need an NVIDIA GPU to view the images. Ansel is the tool we’ve had out eye on since it was launched, and it’s great to finally put it to use. Being limited to the developer enabling the tool on a given game is unfortunate, but understandable, since it’s not a simple tool. It also locks developers into GameWorks, too, since Ansel uses the same libraries. However, if there is one thing that could push Ansel over the edge and really let gamers do something truly astonishing (and maybe give those over-powered Pascal GPUs something to really work on) is allow Ansel to record 3D spherical video. When at the recent NVIDIA event for the launch of the GeForce 10-series notebook GPUs, we brought this up with one of the presenters, and yes, 3D Spherical videos is something the company has been asked about before. While it’s far too early to tell, NVIDIA may very well be working on something like this already. While games like Skyrim and Fallout 4 already have great cameras (accessible from the in-game command line), they still lack those 3D and sphere shots that sets Ansel apart. It’s still early days for the tool, but it’s already got my imagination going, and now that it’s available in Witcher 3, I’ll probably disappear for a while.